(Central Islip, N.Y., Sept. 8, 2015) – Former Long Island Ducks pitcher Rich Hill has been promoted to the Major Leagues by the Boston Red Sox, the team announced on Tuesday. The left-hander becomes the 15th player in franchise history to be return to the big leagues after playing for the Ducks and third to be called up by the Red Sox (Carlos Baerga, 2002 and Joey Gathright, 2011). Hill was signed by the Red Sox and assigned to Triple-A Pawtucket on August 10 after making two impressive starts with the Ducks. While with Pawtucket, the southpaw made five starts and went 3-2 with a 2.79 ERA, striking out 29 batters in 32 and one-third innings. In his two starts with Long Island, he pitched 11 scoreless innings and allowed just two hits and three walks while striking out 21 batters. In addition, the 35-year-old tied a franchise record for a single game by striking out 14 batters on August 9 against Camden, matching the mark set by Mike Loree on September 15, 2011 at Southern Maryland. The Boston native has 10 seasons of big league experience, most recently with the New York Yankees in 2014. That year, he compiled a 1.69 ERA and nine strikeouts in 14 games out of the bullpen. He also pitched in the Majors with the Red Sox from 2010-12, posting a 2-0 record with a 1.14 ERA and 36 strikeouts in 40 games. 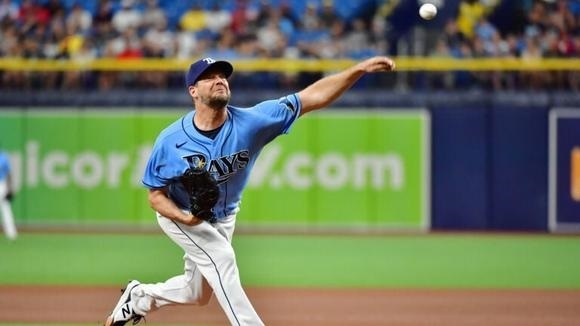 Hill has spent time at the game’s highest level with the Chicago Cubs, Baltimore Orioles, Cleveland Indians and Los Angeles Angels of Anaheim as well and has a career record of 24-22 with a 4.72 ERA and 451 strikeouts in 197 games (70 starts).